Attributes 2,600% percent revenue growth to increase in health insurance shoppers, and advertisers, along with its expansion into the Medicare coverage market. Miami, FL and New York, NY (November 9, 2017) – HealthCare.com today announced it ranked #61 on Deloitte’s 2017 Technology Fast 500™, a ranking of the 500 fastest-growing technology, media, telecommunications, life sciences and energy tech companies in North America. HealthCare.com grew 2,600% percent during this period. HealthCare.com previously ranked 99 as a Technology Fast 500™ award winner for 2016. Overall, 2017 Technology Fast 500™ companies achieved revenue growth ranging from 135 percent to 59,093 percent from 2013 to 2016, with median growth of 380 percent. HealthCare.com is a privately-owned search-and-compare health insurance shopping platform that connects consumers with its network of licensed insurance brokers and insurance carriers. The website’s origins can be traced back to 2006, but launched as a new company in 2014 as a technology- and data-driven platform to help the American consumer efficiently compare health insurance costs and subsidies. The company ranked #148 on the 2017 Inc. 500 list of fastest-growing companies in America. HealthCare.com serves the individual health insurance market (providing quotes on both ACA and non-ACA plans) and the over-65 health insurance market (offering Medicare Supplement and Medicare Advantage coverage options). The company has helped more than 3 million people find healthcare coverage. HealthCare.com has offices in New York City, Miami, and Guatemala City. For more information, visit www.HealthCare.com/about. Follow HealthCare.com on Facebook, Twitter, or visit HealthCare.com/info. 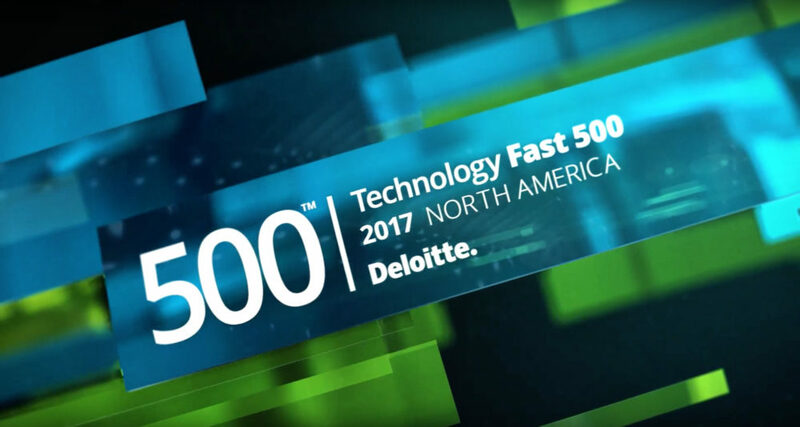 Deloitte’s Technology Fast 500 provides a ranking of the fastest growing technology, media, telecommunications, life sciences and energy tech companies — both public and private — in North America. Technology Fast 500 award winners are selected based on percentage fiscal year revenue growth from 2013 to 2016.Please see www.deloitte.com/about to learn more about our global network of member firms.